It didn’t start so well for Cooper Webb, but suddenly this is looking like a promising rookie campaign for the Monster Energy Yamaha rider. After struggling to make the top 10 at the first two races, Cooper has gone 4-8-3 in his last three, and looks much, much better than he did a month ago. Oakland represented his first career 450SX podium, but strangely enough, he does not credit any major bike changes to the improvement. Instead, he maintains he just needed to get in the right frame of mind for the races. Remember, at Anaheim 1, the normally head strong Webb commented that he was a bit “star struck” looking at his competition in the 450 class. Clearly he’s putting his thoughts together in the right way now. 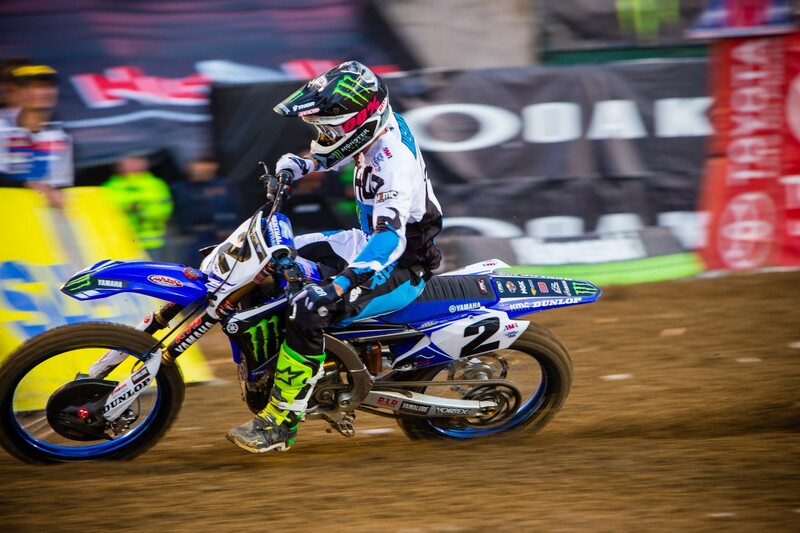 Last week, Webb’s teammate Chad Reed made the podium and said the team finally gave him flexibility to make the bike changes he wanted, which helped tremendously. Webb says that doesn’t really apply to him, though. For him, it hasn’t been about changing the bike as much as learning how the bike will change from riding at the practice track to riding in the actual races. With the bike working the way he wants, and his head in the right place, now Webb gets to learn from some of the best in the business. Cooper may be young, but he’s already proven as one of the most cerebral riders on the circuit, someone who can watch other riders and himself, and learn and adjust in a hurry. He did a bit of that in Oakland while measuring himself against Ryan Dungey and Eli Tomac. This time Webb wasn’t able to quite hang with Dungey or Tomac, but you can trust those laps he spent around them will come back as valuable lessons learned—and applied—later in the season. But late in the race, while trying to bring home his first podium, Webb hit a snag. With the podium, he’s checking more boxes and learning more things. Next up, a trip east, which Webb has actually never done before. 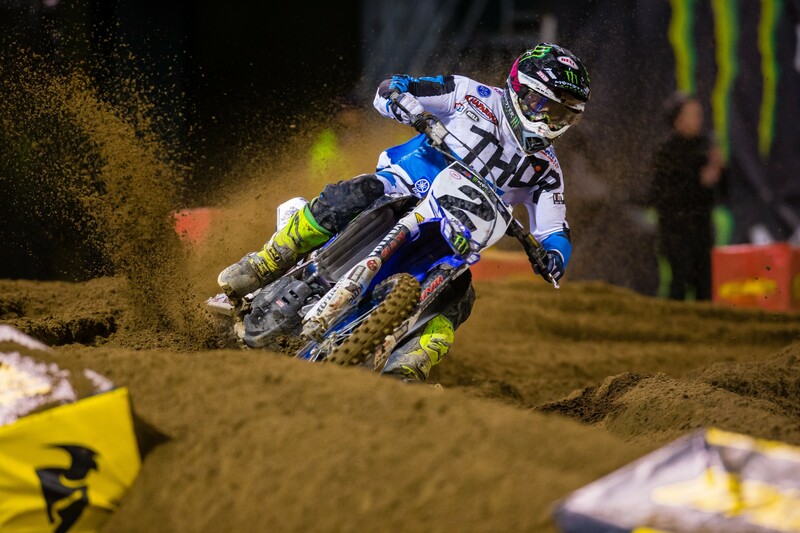 Although he was born and raised in North Carolina and recently purchased a house and a track in his home state, Webb has spent all three of his professional supercross seasons racing the 250SX West Region. By the time the series works its way back west, don’t be surprised if Webb has figured out the next lesson in his supercross development: how to get a 450SX win.